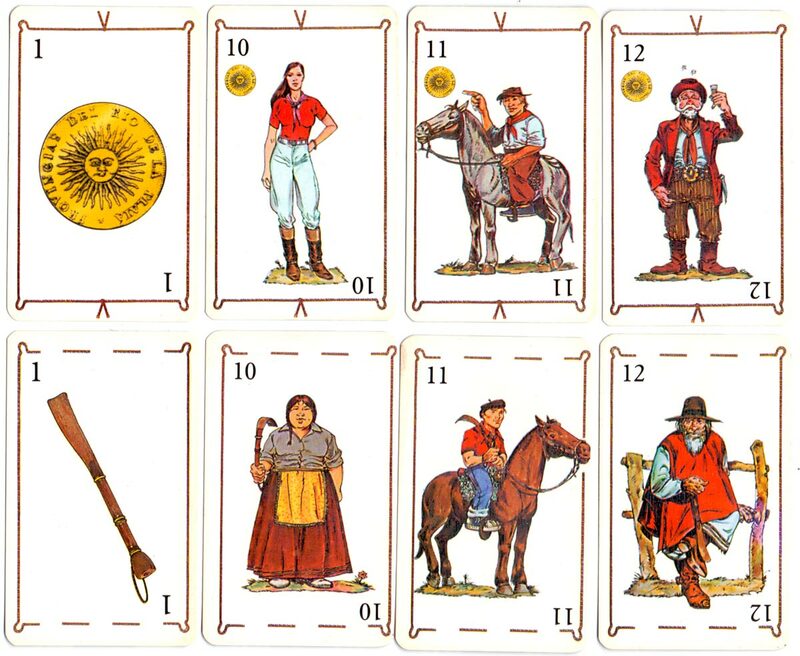 Gaucho Spanish-suited deck made in Argentina, 2001. The four suit symbols represent characteristic items from Argentine culture, such as the mate gourd and the facón, whilst the name 'Mandinga' for the 2 jokers is a synonym for the devil in Argentinean folklore. The sun shown on the ace coins is the sun found on the Argentinean national flag and represents the first coin minted after Independence of the United Provinces of the River Plate in 1812, a symbol of national identity. 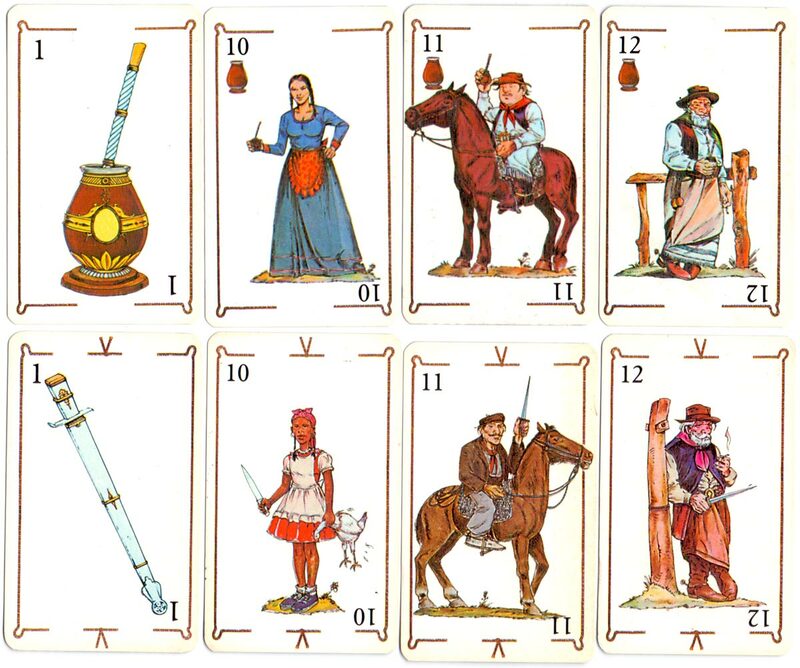 Above: ‘Gaucho’ spanish-suited deck, anonymous manufacturer, made in Argentina, 2001. 48 cards + 2 jokers in box. The name 'Mandinga' for the 2 jokers is a synonym for the devil in Argentinean folklore.